At Org De Rac, the winemaking process adheres to strict organic guidelines. Only half the sulphur content of conventional wine is allowed and no other chemical additives are used at all, creating wine with outstanding health benefits. Bottling and labelling are done under the same roof, to make sure that the whole process is strictly controlled. The result is a delicious range of healthier wines of superior quality and taste. Org de Rac Le Piquet is a blend of 38 % Merlot and 62 % Cabernet Sauvignon aged for 15 months in 2nd and 3rd fill barrels; a combination of 85% French oak and 15% American oak. 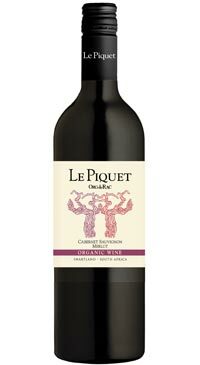 It is a balanced and dark fruit driven red with complimentary notes of caramel on the finish. Amazing value and delicious flavours out of South Africa!